Apple has released its biggest iTunes update in quite some time. 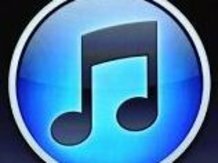 iTunes 10.5 brings access to iTunes in the Cloud, which stores all of the music, TV shows and apps you've purchased and makes them available to re-download on other Apple devices at no extra cost. It'll also facilitate automatic downloads, which will mean any purchase you make on any of your iTunes-enabled devices can automatically be downloaded to the others. It is also the first version of iTunes to offer wireless syncing with iOS 5, meaning you'll no longer have to physically plug your iPhone or iPad into your computer to transfer content. Any devices on the same Wi-Fi network will be able to sync when iOS 5 is launched on Wednesday. That functionality will also extend to over-the-air software updates. iTunes 10.5 doesn't yet allow users to sign up for Apple's iTunes Match subscription service, which will scan your entire music library and replace tracks with high quality files from Apple. It'll cost $24.99 in the US, but Apple has yet to agree deals with UK record companies to bring iTunes Match to the UK. Those deals are not expected to until spring 2012 at the earliest. That service is expected to launch stateside in the next few weeks. If you want to upgrade your iPhone, iPod touch or iPad to iOS 5 you'll need iTunes 10.5 so we'd recommend you download the 100MB+ file now in order to save yourself a little time on Wednesday.